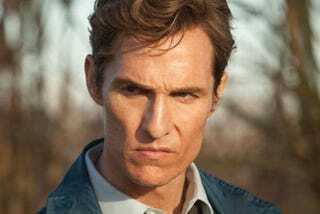 So, you're all watching True Detective right? RIGHT? You goddam should be. Four episodes in and the last eight minutes of tonight's episodehas usurped Breaking Bad for Most Intensity In A Goddam TV Show Holy Crap. Just...trust me. Watch the damn show.